Description: ABViewer is a software to work with 2D and 3D CAD files. It supports AutoCAD DWG (2.5 - 2018), DXF, PDF, STEP/STP, IGES/IGS, STL, SVG, CGM, PLT and other file formats. It enables to: view different files, measure 2D plans and 3D models, create section views of a 3D model to see its internal structure, edit CAD files, convert PDF to DWG, export files to different formats, generate G-code from DWG/DXF files, print files. Description: An add-on for AUTOCAD 2002-2018 or BricsCAD V15-V17, which determines the intersection curves between 2 sets consisting of 3DFACE, 3DSOLID or 3DMESH entities. The outcome is represented by 3DPOLY entities. It can also generate 3DFACE entities, perpendicular to a POLYLINE for obtain cross sections, can generate horizontal 3DFACE entities for obtain isolines and it can draw the conversion to 3DFACE of the 3DSOLID entities. Description: The founders of ActCAD bring considerable CAD product experience to the table. Their maiden product DraftCad was one of the earliest CAD products, published in the 1990s. It was a DXF based light weight CAD Software meant for Windows OS. With ActCAD, based on the IntelliCAD technology, they launched a full featured CAD product, high on features and low on price for the global market. 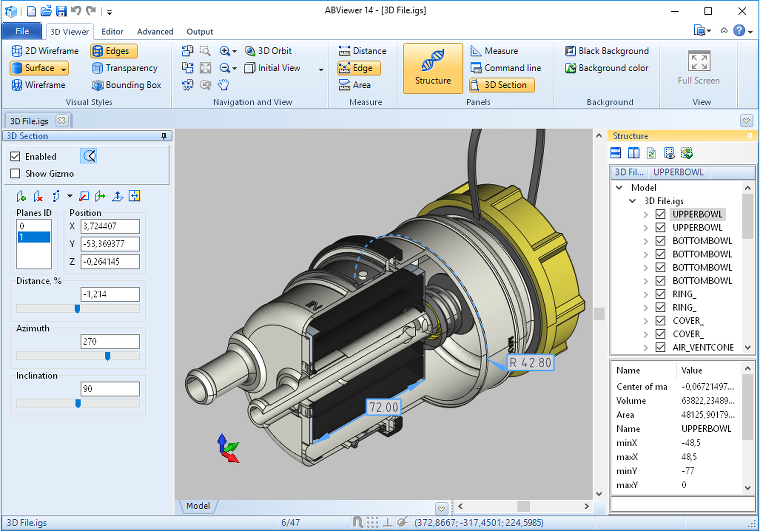 ActCAD supports DWG, DXF, DGN and many other file formats. Description: Astra R-Nesting - rectangular nesting software. Simple and intuitive tools found in this software enable users to: automatically nest the order, quickly edit cutting layouts by hand, calculate offcuts for further re-utilization, print reports and labels, output cutting layouts to CNC panel saws. Description: AutoCAD to PDF is a batch converter that allows you to convert DWG to PDF, DXF to PDF without the need of AutoCAD. Key Features: 1. Convert AutoCAD DWG and DXF files to vector PDF in batches. 2. Stand-alone utility - AutoCAD NOT required. 3. Supports every version of DWG/DXF files (Supports R2.5/2.6, R9, R10, R12, R13, R14, R2000/2002, R2004/2005, ... formats) 4. Very easy to use. Description: AutoTRAX is a powerful integrated Electronic Design Application for Electronic Engineers. It has all the features you expect and need to rapidly and easily take your design from conception through to production. Its in-built hierarchical project manager lets you perform both top-down and bottom-up design and reuse design components and sub-systems. Schematic capture and pcb layout has never been easier. Description: Axdea is a FREE 3D CAD, BIM-based IBS Score Calculator software and was released by Innovacia Sdn Bhd on 26th March 2018 during the International Construction Week (ICW) at the Kuala Lumpur Convention Centre, Kuala Lumpur, Malaysia. As part of our contribution and support to the Malaysian Construction Industry, Innovacia Sdn Bhd has announced that Axdea software will be distributed for FREE. Axdea is customised for IBS Scoring system.